Over 100 people attended an inaugural breakfast for the new David Snyder AZA Chapter, under the leadership of Joe Cohen. Many years ago, the Colonial AZA was a popular organization in Annapolis for Jewish boys. The new chapter being formed is named in memory of 16-year old David Snyder, who was killed by a drunk driver in August 2005. Those in attendance included many alumni from the Colonial AZA Chapter, the members of the new chapter, and their families. The breakfast was catered by chef Steve Earle, past Aleph Godol from the Colonial AZA from the 1970s. The Annual Meeting for Congregation Kneseth Israel took place on Sunday, January 27. Elections for the Board of Governors took place, the accomplishments, milestones, and financial summary for 2007 was discussed, and awards were presented. Jody Goldsmith, outgoing Religious Chairman and Gabbai, was also awarded the Co-Congregant of the Year but was out of town for the meeting. The Kneseth Israel Hebrew School had their Tu B'Shevat Seder a couple weeks after the date of the holiday, since Rabbi & Rebbitzen Weisblum were in Israel for two weeks for the wedding of their oldest son Elimelech. Below are photos from the seder, which the children enjoyed learning about the "Jewish New Year of Trees" and sampling some of the delicious fruits grown in Israel. Rabbi Weisblum led a popular 6-week series of lectures on Sunday mornings in February and March titled "Bagels, Coffee, and Judaism: The Essentials of Faith: Who, What, Where, When and How". Each week, a different topic was covered. People really enjoyed attending, and there was very few open seats! The 18th Annual Aleph Bet Jewish Day School Dinner and Auction took place at Kneseth Israel. The theme this year was honoring Israel's 60th Birthday and the rabbis in our community. As always, it was a great turnout with a variety of great goods and services to bid on. Sandra Bayer and Marc Genderman, who joined Kneseth Israel in December 2007, were married at our synagogue on April 13. A festive wedding seudah (meal) followed the ceremony in the Allen J. Reiter Auditorium. On Memorial Day, 26 May 2008, the Jewish War Veterans of Annapolis Post #380 rode in the Memorial Day Parade in Annapolis . This year, the county was celebrating 300 years! The weather was glorious, the post had five cars in the parade, and everyone had a fabulous time! Thanks to Miss Maryland who posed for a photo with our veterans. It was one photograph where every veteran from our post was smiling. Imagine that? :) Thanks, also to Sheriff Bateman and Pat Sajack for posing with our veterans for a wonderful group photo. Pat Sajack, the Master of Ceremonies for the Memorial Day Parade and former Army veteran, delivered a powerful and moving tribute to our veterans. We applaud you! 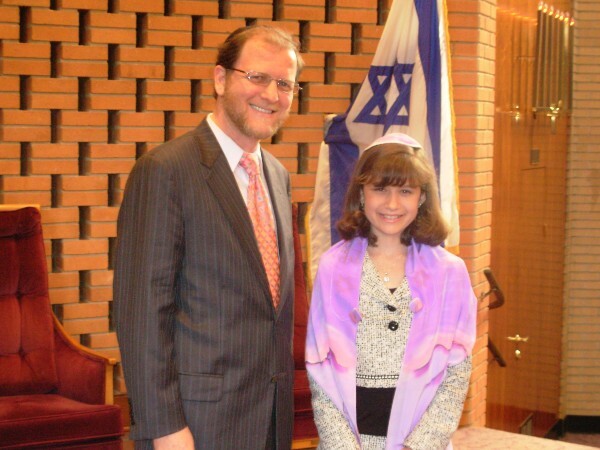 Haley Nicole Janowitz, daughter of Dr. Michael and Abby Janowitz, became a Bat Mitzvah on Sunday, June 15, 2008. Haley is an honor student (principal's honor roll) at Central Middle School. Haley chanted the Haftorah from Parsha Shelach Lecha. The Kneseth Israel Sisterhood installed their new slate of officers for 2008-2009 at a luncheon. Congregation Kneseth Israel hosted the annual Morris D. Rosenblatt Memorial Lecture with special guest Rabbi Dr. Jacob J. Schacter, Professor of Jewish History and Jewish Thought, Senior Scholar at the Center for the Jewish Future at Yeshiva University. Rabbi Dr. Schacter's insightful lecture was titled "Judaism and Islam: Cooperation and Conflict". A continental breakfast preceded the lecture. Yitchak Meir Weisblum, son of our Rabbi Moshe Pinchas and Rebbitzen Miriam Weisblum, became a Bar Mitzvah on Saturday, August 23 (parshat Eikev). Of course photos cannot be taken on Shabbos, but these photos were taken on Thursday, August 21 when he put on teffilin the very first time and read from the Torah. Meir attends school at the Talmudical Academy in Baltimore. Mazel Tov! Over 150 people attending a delicious Shabbos dinner at Congregation Kneseth Israel. Kabbalat Shabbos services was followed by Kiddush and a spectacular four course meal prepared by Robert ("Bob") Weigert. Special guest was Maryland Attorney General Doug Gansler. The successful event was chaired by Pam Weigert. 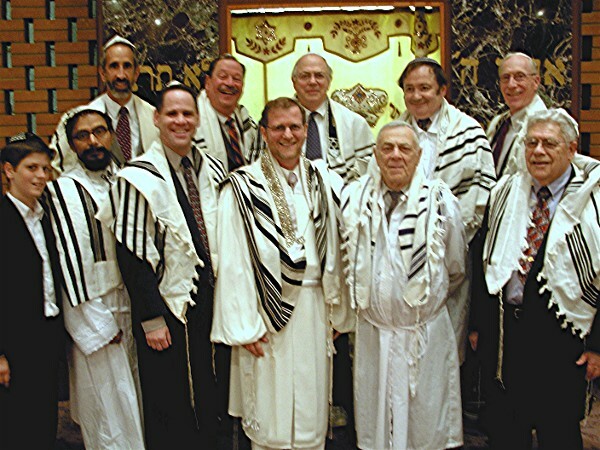 Sheila Kurtzner, wife of former Ambassador to Egypt and Israel Daniel Kurtzner, was the distinguished guest of the Congregation Kneseth Israel Sisterhood. She shared many experiences and stories about the challenges and good times as a wife of an Ambassador, living in both Egypt and Israel. Many new melodies were included this year, and the Congregation Kneseth Israel High Holiday Choir made the High Holiday services even more inspiring. Attended by over 200 people, the synagogue celebrated the newest Torah donated by Jeffrey and Roberta Goldstein and family. The new Torah is a treasure to the synagogue which will be enjoyed by generations to come. Over 200 people attended one of the best Chanukah celebrations ever at Congregation Kneseth Israel. A talent show, face painting, great food, and door prizes.